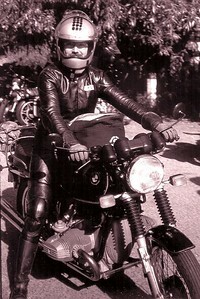 The Montgomery Street Motorcycle Club (MSMC) was founded in San Francisco in 1969. We’re proud of our members, our events, and our history. Members are experienced, conscientious riders from the SF Bay Area. We focus on sport-touring, though members’ interests include off-road riding, long-distance rallies, adventure touring, track days, and racing. Members’ tastes tend toward European brands; many own multiple bikes. Members are active in the local motorcycle community, have prominent roles in brand-specific organizations, and have shown bikes at the Quail Gathering. Others have encyclopedic knowledge of California roads and attractions. The Club holds at least one riding event per month ranging from half-day local rides to overnight destination rides that cover 900-1200 miles over 2-3 days to places like Pismo, Bridgeport, Weaverville, Quincy, Death Valley, and beyond. Day rides often end with social events held at a member’s home or lunch at an interesting local venue. We have a formal holiday party each December that marks the end of the riding season and kicks off planning for the next one. Founded by advertising and finance executives working on Montgomery Street in San Francisco, the club was known in the 1970s and 80s for its exclusivity and affluent members, business executives who insisted on luxury accommodations and lavish diversions. But riding credentials were always paramount: we famously turned down Malcolm Forbes for membership. Today, the Club has members from diverse walks of life. Rides and events focus on camaraderie and adventure, enjoying the rugged beauty of California and our home city of San Francisco. We visit a variety of venues: rustic cabins, historical lodges, classic motor-motels…and yes, even the occasional upscale resort. With nearly 50 years of history we’ve amassed a large collection of Club photographs, media about the Club, and a library of ride itineraries, many including GPX files. These are accessible via our dedicated website. The MSMC is limited to 40 Active Members. Openings usually occur only when a member moves away from the Bay Area or gives up the sport. Take a look around to get to know the Montgomery Street Motorcycle Club. The club started to come together in the summertime of 1968, and was officially incorporated in 1969. Here is a link to historical information about the organization. The MSMC is limited to 40 active members. As of February 2016, we have ~25 active members on our roster. In addition to the active members, there are several other member classes for folks that have moved out of the Bay Area or have limited their motorcycling. 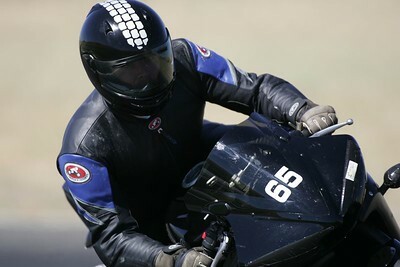 Membership in the MSMC is an incredible opportunity to ride with a group of skilled, eager, fun-loving motorcyclists. If you enjoy riding 200 miles of twisties to find the perfect lunch spot, this is your type of group. Typically, guests start riding with the club on one of our day rides, or even on the casual Sunday Morning ride that happens pretty much every weekend. This is a skilled group of motorcyclists that enjoys riding quickly (and safely); those brand-new to the sport or those more interested in wheelies and burnouts most likely would not feel comfortable. As guests start to get comfortable with the club, the club in turn works to learn about the guest, and see if he/she would be a positive influence on the MSMC. It often takes over a year for a guest to move from attending their first MSMC ride to being offered membership, and one of the key requirements is for the guest to have attended at least one overnight ride during the current year. More than a little, and less than a lot. Individual rides vary from free (day rides) to approximately $400/person for the longest 3 - 4 day rides. Ride payments generally cover all lodging, and a certain number of lunches and dinners during the ride. Each ride is self-financing; the club is operated to break-even year over year. Applications are only sent to prospective members after they have completed all (or at least most) of the pre-requisites for membership. If you feel that you have, and would like an application, contact your sponsor in the club, and/or Colin Hessel. Most members have a number of bikes to choose from, depending on the type of riding planned for the day (street, dirt, or track). But lately it does seem that most members have at least one BMW in the garage, primarily GS's and RT's. Other favorites include Ducati, Triumph and KTM. From the club's earliest days, members have worn helmet stripes to more easily identify fellow members on the road. The MSMC has an elected Board of Directors (sometimes called the club officers) that meets once per month to plan upcoming rides and events. All club members are welcome (and encouraged) to attend the board meetings. Board members are elected annually, but are encouraged to serve two-year terms. Individual ride leaders are chosen for each ride, and they are responsible for much of the organization and logistics of that particular ride.